I went to my friend’s house where he is pet sitting to join him for a ride to the park to meet other friends. 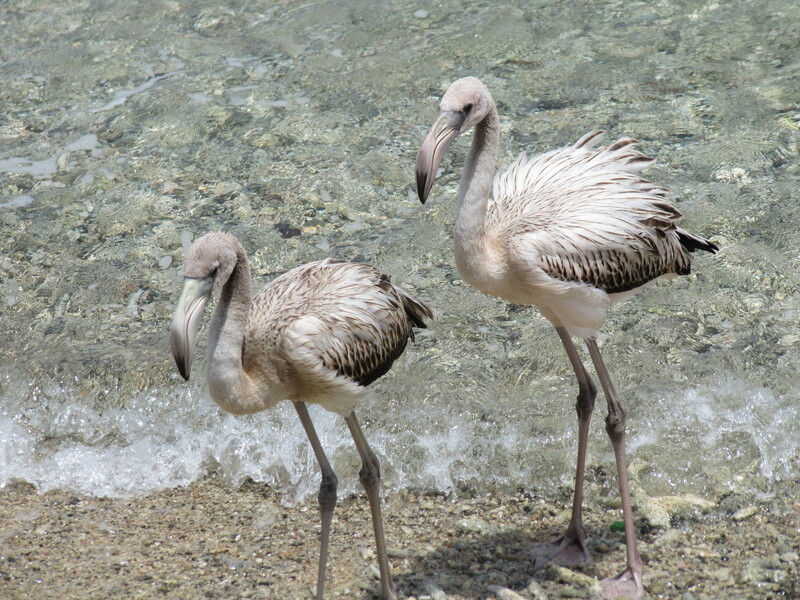 I noticed two baby flamingos in the harbour, far from where they are supposed to be…the wind carries these light babies away from the sanctuary and they become exhausted. A local Antillean lady urged us to relocate them to Peklemeer. 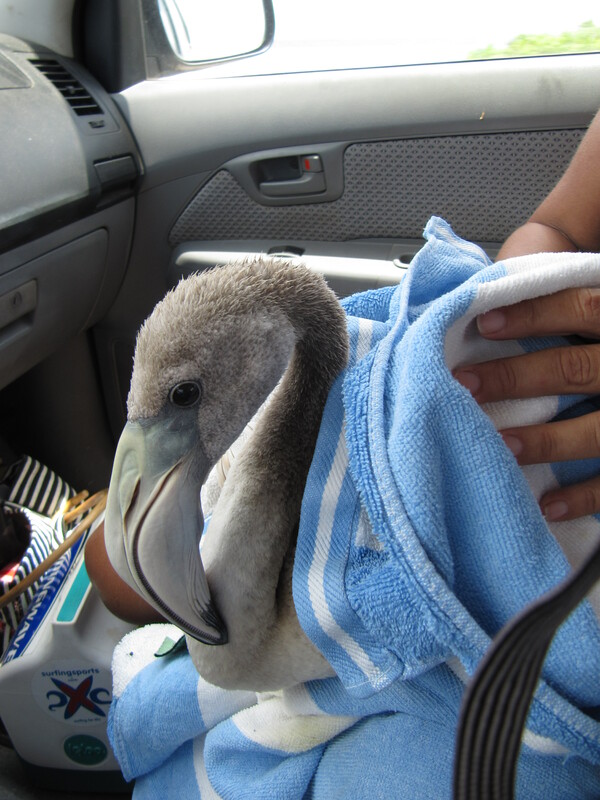 With the help of local little boys we captured them both in towels and put them in the back of my friends truck in the cab. 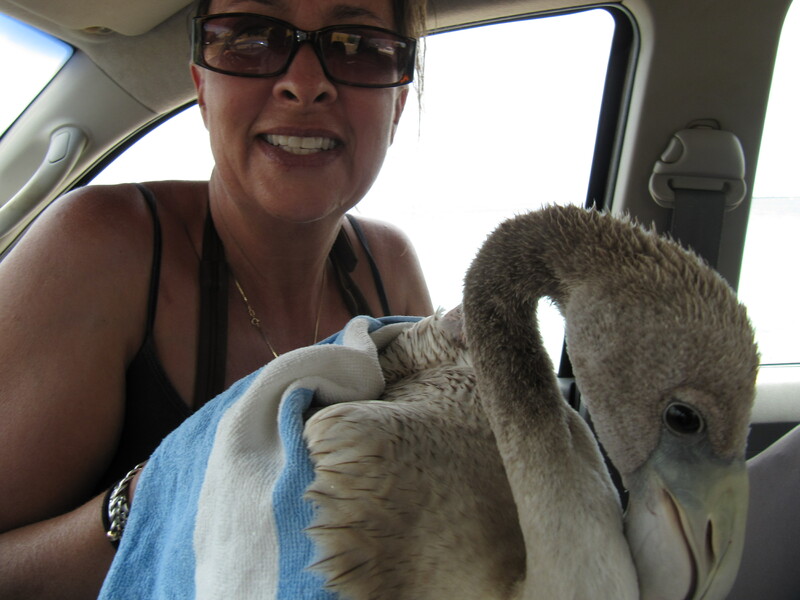 What was I thinking, two wild baby flamingos would sit sit for the ride down south? Uh..noooo..they started to flap their wings and fly around the cab pooping all over. One lodged itself under Ted’s foot as he drove. It was a complete freak show until I was able to calm one down and hold it on my lap. The other fell on the floor and stayed there. Ted thought it was the time for a leisure photo shoot. I urged him to GUN IT and head south..it was the longest 20 k of my life. Towards the end, Thelma as so she was named started to bite at me…she was a fierce little one. Louise was still on the floor stunned. 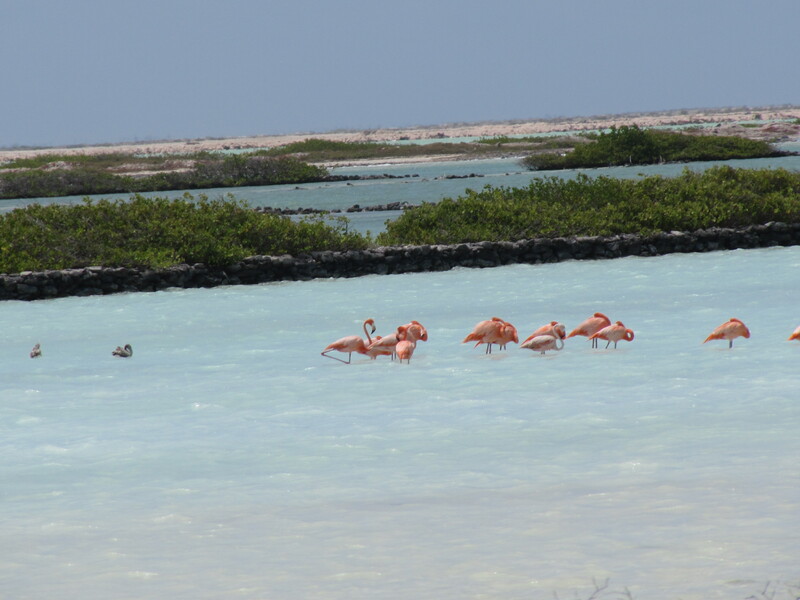 We arrived at Peklemeer and located a flock of flamingos. We started to walk thru the muck to get close to the shore. 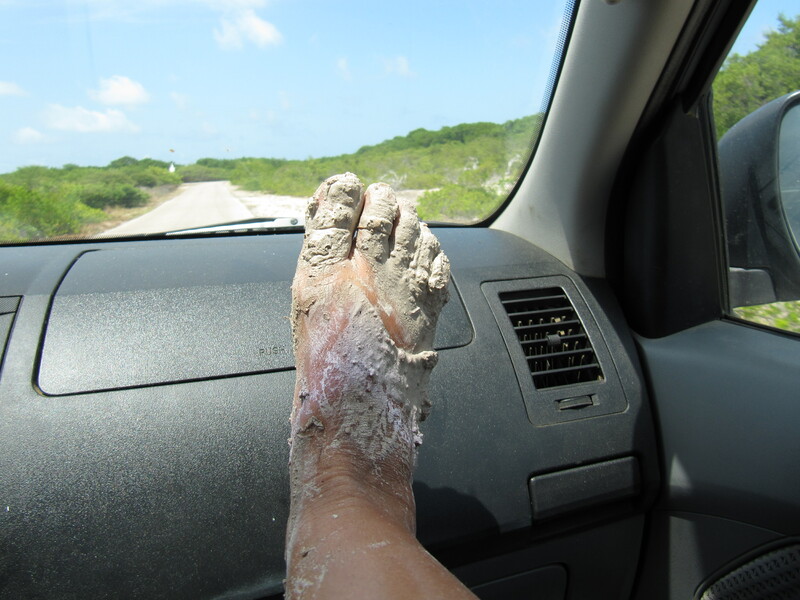 I lost my flip flops (stuck in the muck) and got cut up in old coral rocks. We made it to the shore and released the girls. It was a sight to see them swim off to join their friends. This entry was posted on July 18, 2011 at 12:00 pm and is filed under Culture. You can follow any responses to this entry through the RSS 2.0 feed. You can leave a response, or trackback from your own site.